There is a challenge hosted by SewPony and Straightgrain. The idea is to have a current month host gives 5 pieces of inspiration (acorns) to a pre-selected recipient (the Secret Squirrel) to sew something that interprets the acorns. 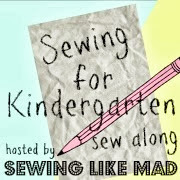 Other folks can sew along too and that's what I've decided to do because this particular challenge looks like fun! 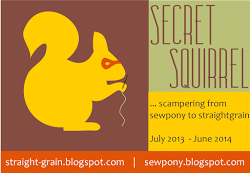 The Secret Squirrel for July and her creation can be found here. Nicely done! Here's my interpretation for the 5 acorns. #1 The Mandarin Duck has beautiful jewel tone feathers making for a great colour palate but my thoughts went to a "mandarin collar"like the one found on Simplicity pattern 3900. #3 Painting "69 Stations Kisokaido #37 (Miyanokoshi)" by Ando Hiroshige. He is one if Japan's most celebrated artists. Most of his work reflects Japanese landscape and by just looking at his artwork, you know right away it's Japanese. 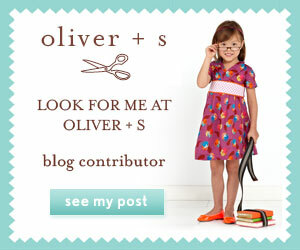 So I went to may stash and looked at fabric that 'sang' Japanese to me and I found "Misaki" by Melissa White for Rowan. Westminster Fibers: Mallow and Bee for the main dress and Shanghai Cut Outs for the hem. #4 Pleat. Initially I thought about smocking a dress (lots of pleats!) but then when I settled on S3900 I decided to make pleats in the skirt instead of gathers as I have done in the past. Therefore, pleats are something I have #2 Not Done before with this pattern. #5 Ella and Louis ... does jazz get any better? Sadly they are both gone and the only way we can hear their music is through old albums/CD's and remastered mixes. Remastering is like repurposing and that gave me the idea to take an old sweater and repurposing it for this project ... again something I have #2 Not Done before. So there's the dress, S3900 with a Mandarin collar, using a Japanese themed fabric with a pleated skirt section. I've made this pattern several times but this time around I totally messed up the mandarin collar edge where it meets the front band. Argh. Initially, I had planned on making a Chinese frog closure on the front band but I didn't have the correct colour cord in my stash. Luckily I found 2 green buttons, so they will just have to do. Also in my stash I found a recycled zipper that matched the background of the fabric exactly. How fortuitous! 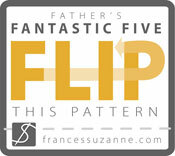 The pleats were easy to make and it wasn't necessary to add any width to the pattern. Lastly, I made a repurposed sweater for when "Baby it's Cold Outside" a fun song that Ella and Louis sang together. I simply took apart an old white sweater, cut 2 front pieces, a back and 2 sleeves and stitched them together. I cut strips of leftover jersey crib sheet fabric for the front and neck edges making a casing in the neck to thread ribbon. And as good luck would have it, I found some green ribbon in my stash that matched the green buttons. Best of all, this dress twirls. That's the main concern - the litmus test so to speak - for Miss C.
This dress is size 5 and is far too big for her to wear right now. She has plenty of dresses to wear this summer and this one I intended for her to wear next year. 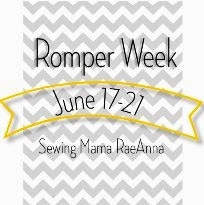 If time permits, I will make something for the sew-along in August. Gorgeous!! She's really grown, hasn't she? This dress is so cute! And she is adorable! Gorgeous!!! Thanks for sewing along. I love the dress - especially that collar!!!! The dress is beautiful indeed! I love that mandarin collar. Love the collar too ! Im also making things big and sewing for next summer! Ive had fun with the acorns too ! Do take a look! That collar is fantastic!I really like what you have done with the five acorns.